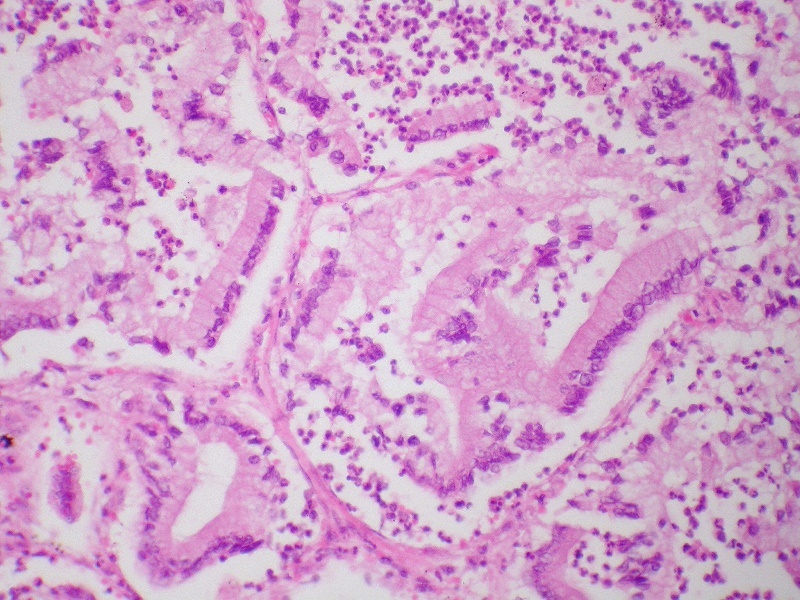 Metastatic pancreatic adenocarcinoma with lepidic growth pattern. Credit: Yale Rosen. 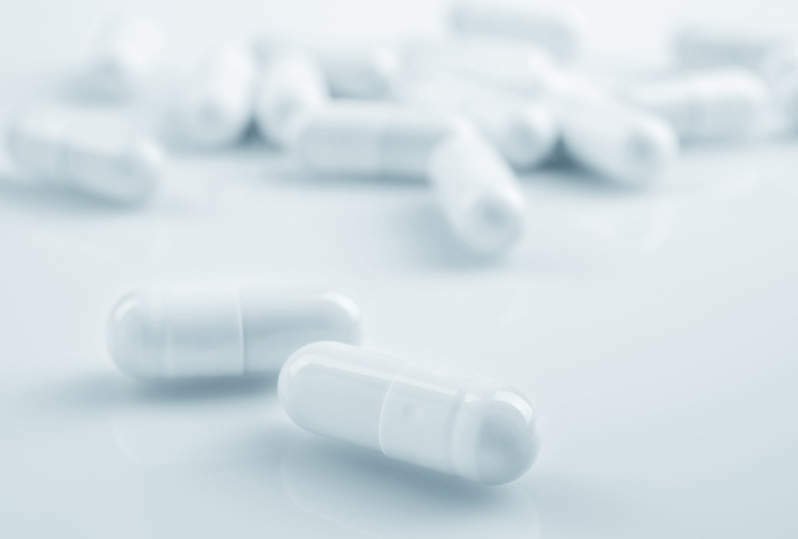 Rafael Pharmaceuticals has commenced the Phase III AVENGER 500 trial to examine CPI-613 (devimistat) in combination with modified folfirinox (mFFX) as first-line therapy to treat patients with metastatic adenocarcinoma of pancreas. The multicentre, open-label, randomised pivotal trial will compare the efficacy and safety of folfirinox (FFX) with the combination of CPI-613 and mFFX. It is expected to enrol around 500 metastatic (stage IV) pancreatic adenocarcinoma patients aged between 18 and 75 years who were not previously treated for metastatic disease. Individuals with Eastern Cooperative Oncology Group (ECOG) performance status of 0–1 will also be included in the AVENGER 500 trial. Primary endpoints of the trial are overall response rate (ORR) and progression-free survival (PFS). Its secondary endpoints include overall survival (OS) and duration of response (DOR). Rafael expects to complete the interim analysis of the trial by the second quarter of 2020. AVENGER 500 trial principal investigator Philip A Philip said: “Pancreatic cancer is the deadliest cancer worldwide with very limited treatment options. CPI-613 is based on the Altered Metabolism Directed (AMD) platform and is designed to target altered regulation of metabolic processes specific to cancer cells. The drug was used in a previous Phase I, single-centre, open-label, dose-escalation study called CCCWFU 57112. The trial was designed to analyse the safety, tolerability and efficacy of CPI-613 in combination with mFFX as frontline therapy in patients with metastatic pancreatic cancer. It included a total of 18 patients who received 500mg/m² dose of the study drug combination. Findings from the trial showed that the treatment was well tolerated among patients with no deaths reported due to adverse events.